I've become a bit partial to Asian cuisine recently. I told myself for years that I wasn't keen after a particularly heinous incident involving a Chinese restaurant and a four hour flight. Anyway, that's all a distant memory, and my new found bravery has meant that I've been sampling dim sum and rendang left, right and centre. When Ning asked me to go and put their new Christmas menu through its paces, I was more than happy to oblige, and took my Malaysian food-loving homie for a trusted second opinion. We weren't really sure what to expect when we arrived, and were seated at a long table at the back of the restaurant. As others piled in, it became apparent that co-diners Beth and Adam were our sort of people! Over the course of the evening we shared some wonderful food, funny stories, avoided photos (almost successfully), and laughed lots! 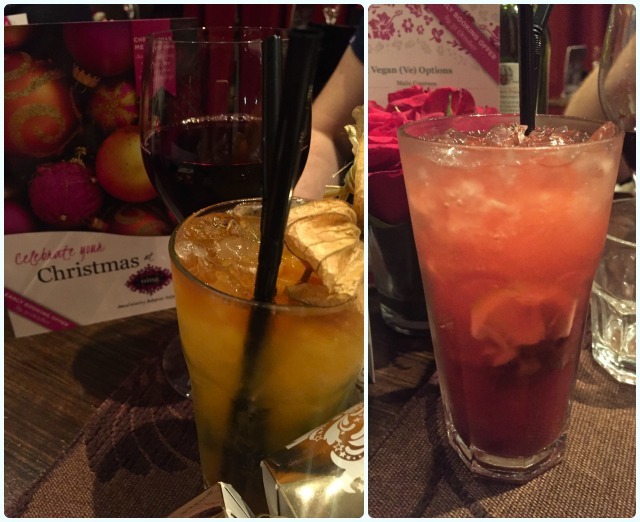 We sampled all the options available to festive diners (yes, we really did take one for the team!). I'll let the pictures do most of the talking. Drinks - Rioja Tinto, Passion Fruit Mojito and Strawberry Mojito: A fantastic drinks list with some interesting tropical themed cocktails. We opted for a nice bottle of red and some fruity mojitos. 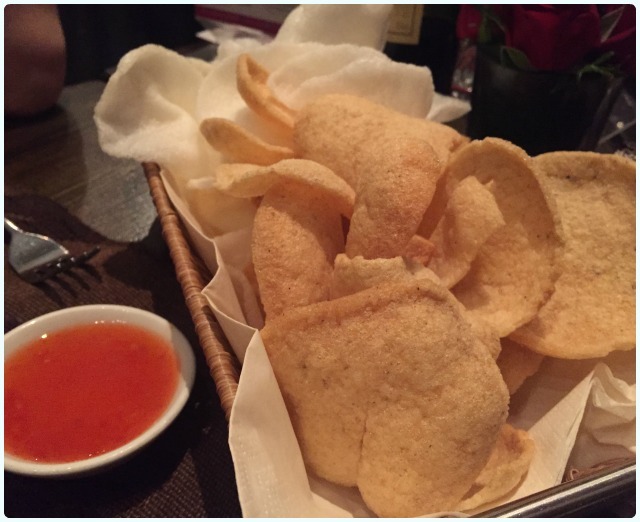 Mixed plain and spicy prawn crackers: I'm not a huge fan of prawn crackers, but the spicy ones were really tasty. Life hack... save some of these to help deal with the leftover satay sauce from the prawns. You'll see. 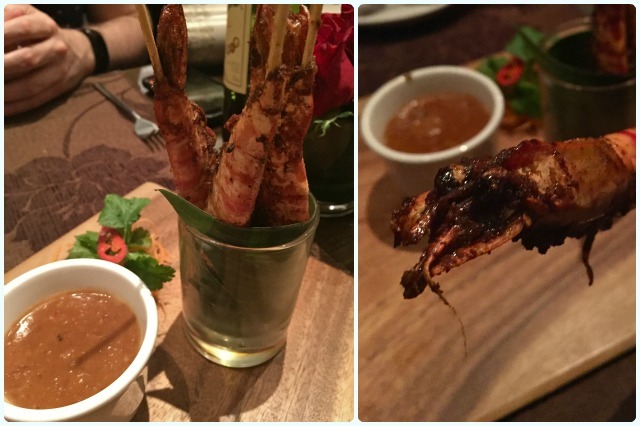 Sate Udang Berempah | Spiced Prawn Satay - skewered prawn satay marinated in spices: I don't do fish, especially the type with an actual face. I was feeling brave, and it paid off! These were utterly delicious. Drenched in warming spices and very moist. That bloody sauce... Gorgeous. Telur Rendang Ayam | Rendage Scotch Eggs - Eggs coated with minced rendang chicken and crispy breadcrumbs: One of the best things I have eaten this year. I urge you to order these. We all agreed on this! 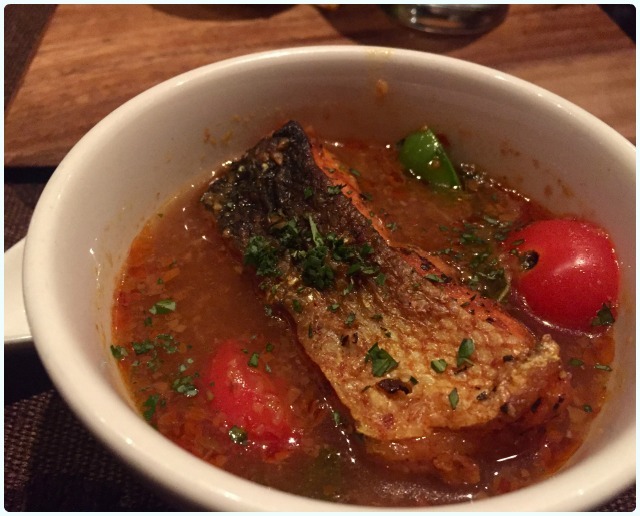 Sup Asam Pedas Ikan | Spiced & Sour Soup - Pan-fried crispy salmon chunk with mangetouts in spiced and sour soup: A little too fishy for me, but a hit with my co-diners. Very pretty too. 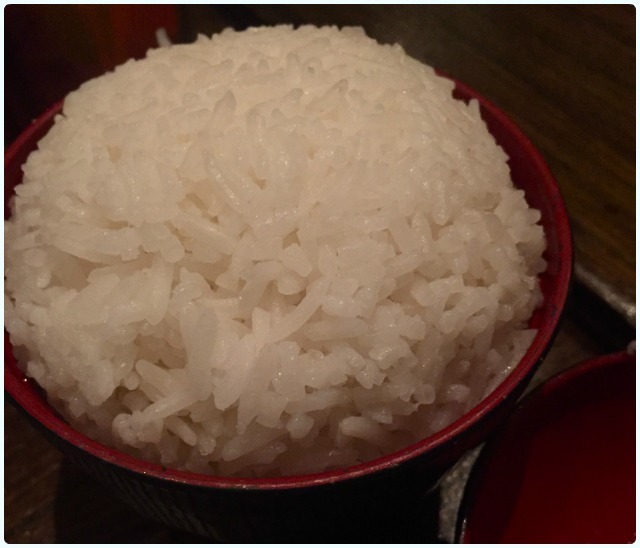 Jasmine rice: It's just rice right? No my friend, no. I loved this sticky jasmine rice. Perfect for sauce soaking. Achar Nyonya | Nyonya Vegatable Pickle - Medley of vegetables pickled in herbs and spices: Cold, crunchy and tangy, this was the perfect accompaniment to the warm chicken, beef and fish dishes to come. 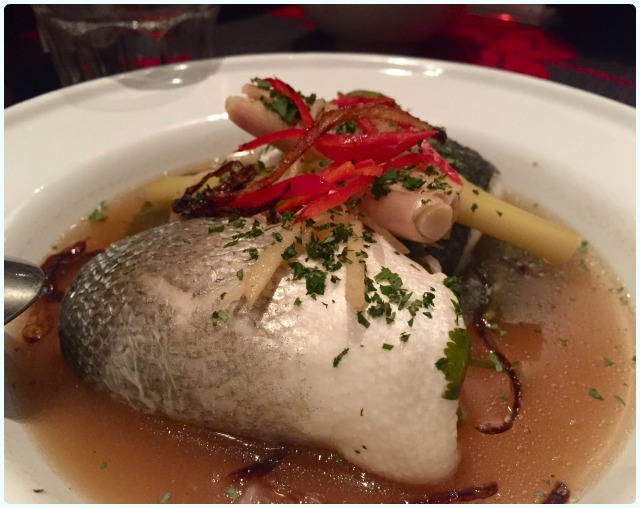 Siakap Halia and Limau | Poached Sea Bass - Fillets of sea bass poached in ginger, lime, lemongrass and coriander marinade: Delicately spiced fish with a subtle lemongrass flavour. 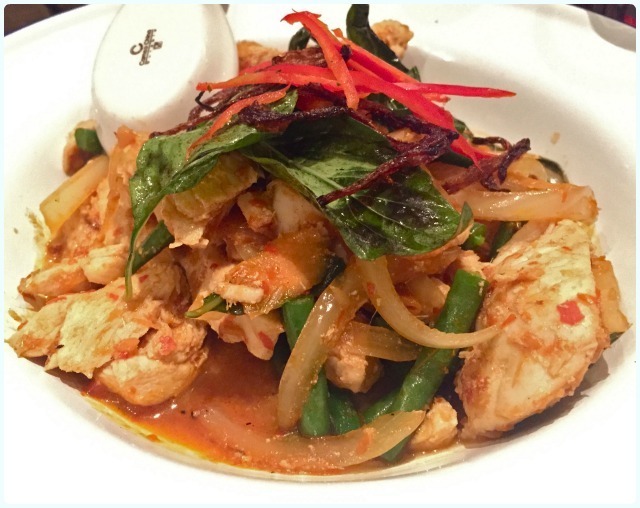 Ayam Goreng Kemangi | Chicken and Sweet Basil Stir-fry - Wok fried chicken pieces with sweet basil leaves and beans: Loved this... The depth of spices worked beautifully. This sauce over jasmine rice rocked my world. 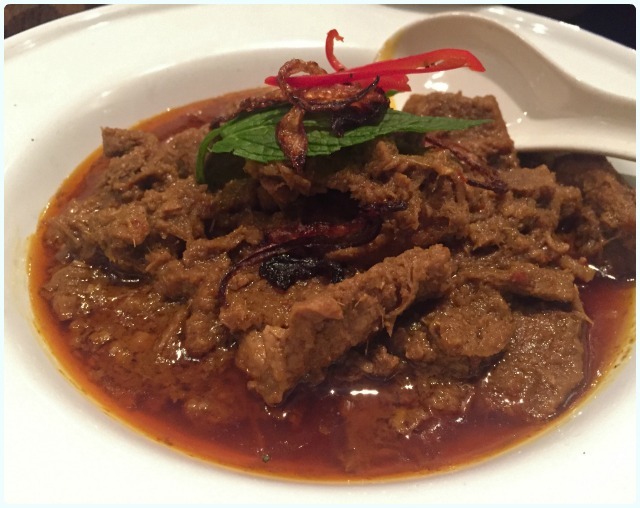 Kerutup Saging | Braised Beef - Chunks of beef braised in Malaysian spices and herbs with roasted coconut: Our favourite main by far. All four of us agreed this slow cooked beef was a huge winner. Sayur Goreng | Stir Fried Vegetables - Wok fried fine beans, carrot and spinach with a hint of herbs and spices: Nice and refreshing after the meat-fest. 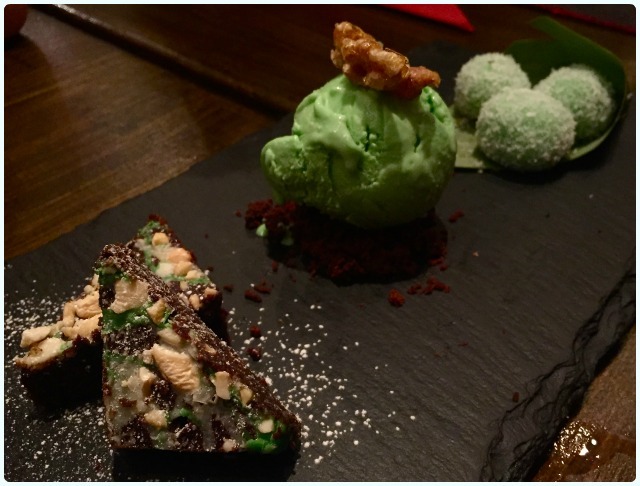 Trio pf Pandan - Glutonous rice balls with palm sugar filling & coated with desiccated coconut, dark chocolate brownies with cashew nuts and pandan flavour, and rich ice cream made of pandan extract with roasted and glazed walnuts: A platter of purest green. A nice way to sample a few little desserts. Tropical Fruit Salad in lychee juice, cinnamon dust and fresh mint leaves: I was craving this after all the rich food we'd devoured. Those lychees sorted me right out. 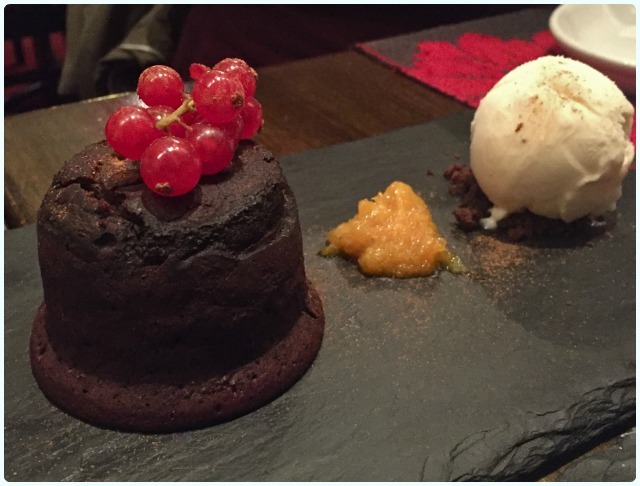 Chocolate Lava Cake with orange compote and cinnamon dust served with vanilla ice cream: We left this to the boys; I'd have been asleep in the taxi home! Soft chocolate cake with a fondant centre. 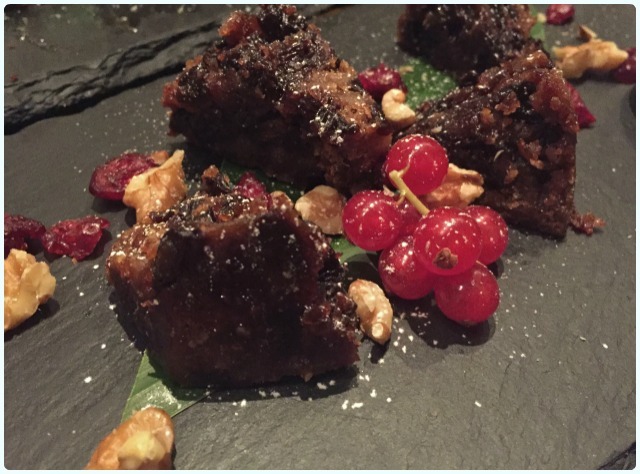 Christmas Pudding with dried cranberries and nuts served with double cream or brandy sauce: I was the only Christmas pud lover in our group. I cursed my fullness for these were spectacular. 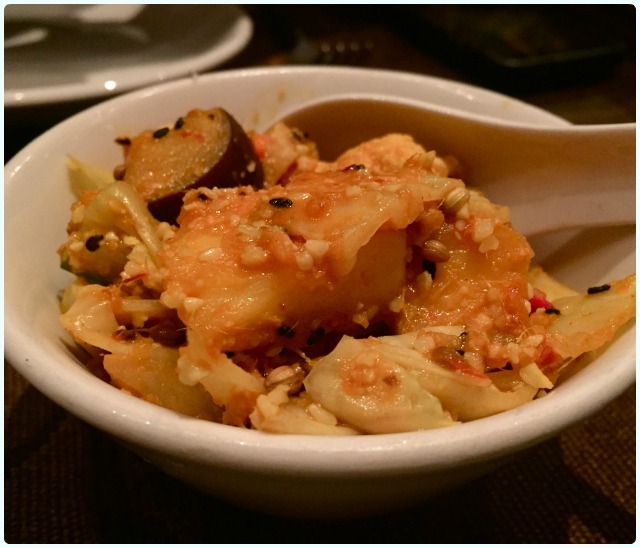 Soft, spicy and packed with fruit. 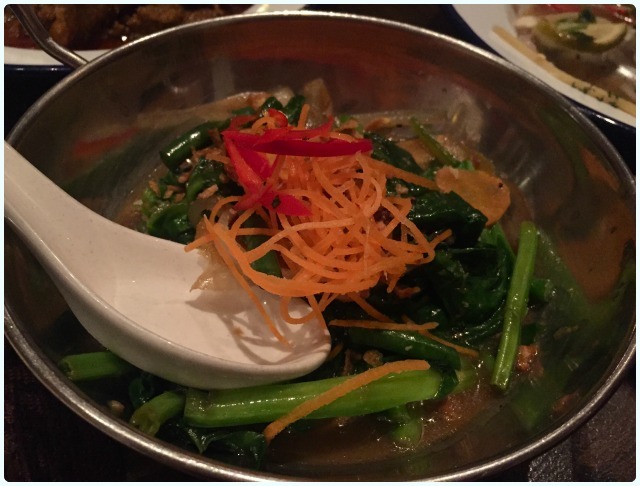 We were pleasantly surprised with what Ning had to offer. Chef Norman Musa popped out at regular intervals to explain his food, and gather our feedback. He was happy to talk us through where he has learned from past menus, and what excited him about this one. 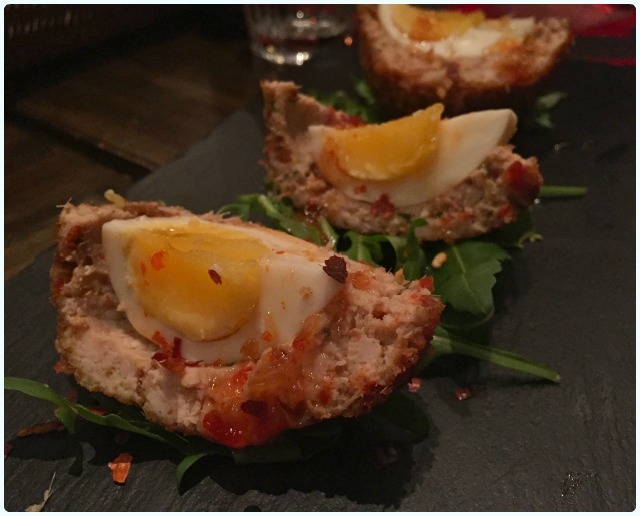 General consensus was that all diners must order the Scotch egg and the beef dish, although we loved being able to sample all of it! I can't wait to go back already. 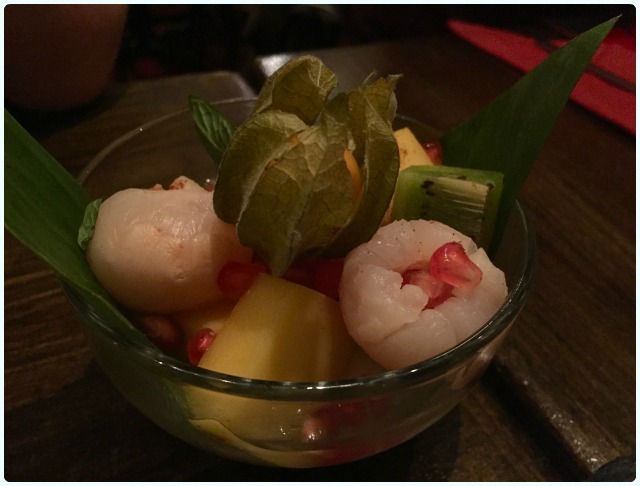 Disclaimer: We were invited to give feedback on the new Christmas menu at Ning. We were under no obligation to say nice things, and no-one had my arm up my back forcing me to eat prawns with faces.